Ranakpur Hill Resort is Situated near the famous Ranakpur Jain Temple. It is Located amongst the unspoiled nature surrounded by the Aravali Hills Range and offers a commanding View of the mountains and its rugged rock-strewn countryside. Resorts offers complete tranquility away from the hustle and bustle of city life "Nature at its Splendor" as all like to call it. so came and surrender yourself to this distinct get away haven that can bring you so close to nature itself. 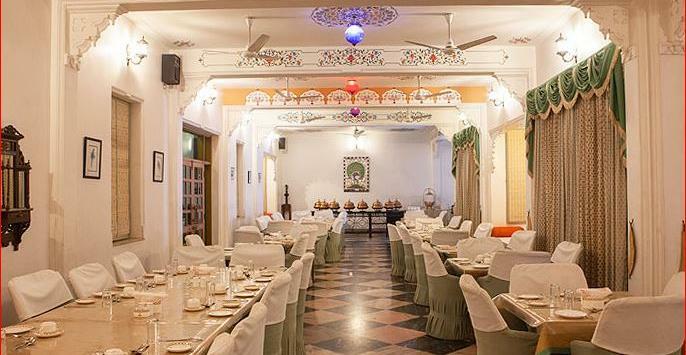 Restaurant at the Resort, with its traditionally rich Decor Reminds of the Rajput era. Facing the lush green Lawns the Restaurant offers a choice of extensive cuisines along with the traditional Rajasthani Food. Exotic Buffet Launch is also arranged everyday for the tourist on a day trip, visiting Ranakpur Jain temple. Dinner arrangements are also made at the pool side with traditional Music and bonfire offering a magnificent View of the moonlit surrounding. Resorts offers spacious Air-Conditioned Rooms, all elegant and comfortable with attached bathrooms, fitted with modern amenities. The Rooms are designed to offer The Traveler , Modern Comforts ensconced in the ambience of the past. Resorts Offer Royal wedding arrangement and Horse Safari in Ranakpur. Travel Counter, Baggage Storage on Request, Doctor on Call, Major Credit Cards Accepted, Airport Transportation, Currency Exchange, Security Guard, Room Service, Restaurant, Recreation. , Safe Deposit Locker Facility, Dustbins, Basic Bathroom Amenities, Balcony / Terrace, Ceiling Fan, Complimentary Toiletries, Internet Access, Air Conditioning Room, Attached Bathroom. User reviews for "Ranakpur Hill Resort Udaipur"